Why stay in a room when you can have the whole house? Across the street from the is the charming Craftsman-style Cottage. It was built in 1927 and completely remodeled in 2011. The cottage sets on one-third acre of land and has several parking spaces. It is quiet, spacious and comfortable. 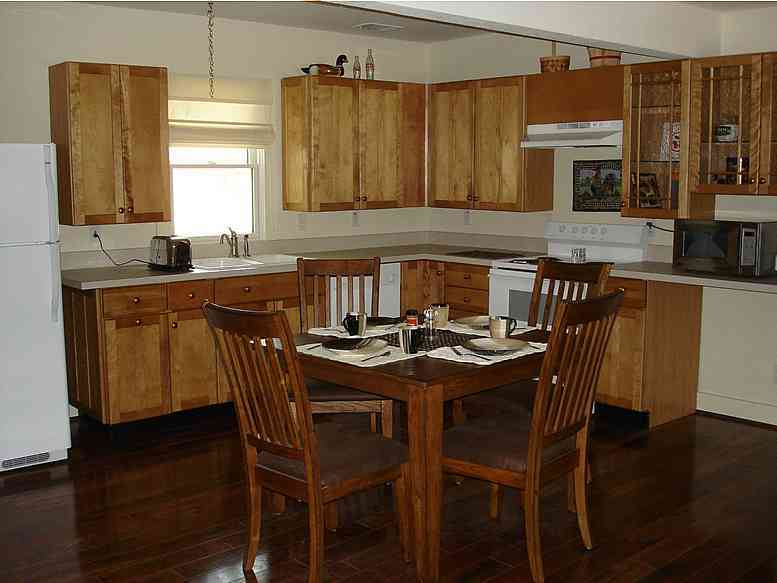 The two-bedroom, two-bath cottage has a great living area with open access to fully equipped kitchen. Comfortable sofa and chairs abound. Fiber optic on a large screen television provides over 160 channels. Fast internet access is also included. One full bath has a large shower, sink with vanity cabinet with granite top and stainless steel bowl and a comfort height elongated toilet. The other full bath has a tub with shower, vanity with solid surface top and bowl and a comfort height enlongated toilet. Huge majestic elms, oaks and beautiful colorful frilly crepe myrtles surround the cottage on one-third acre of land. 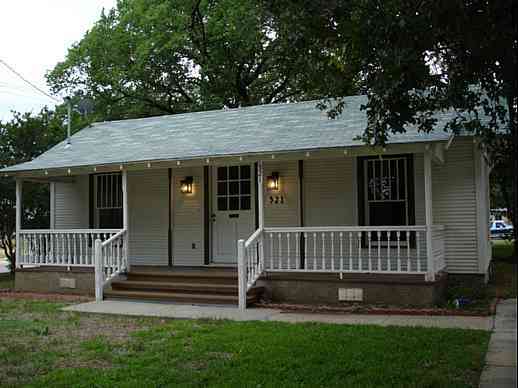 The large shaded backyard is a great place to have a cookout or just relax. There is very comfortable lawn furniture in the back yard. You'll feel like you're in the country. Many folks comment on how peaceful the area is and they would never imagine this ambiance in the Dallas metropolitan area. 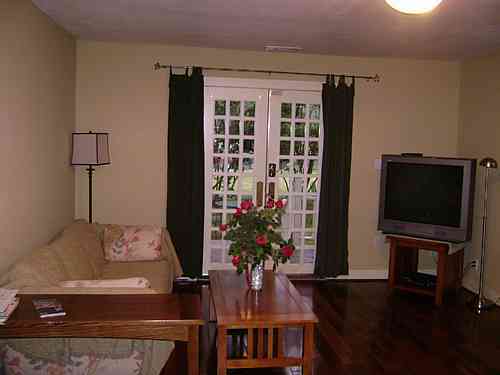 The Cottage floors are hardwood and the Cottage is all electric and has a central air conditioning system. Each bedroom has its own TV with cable. The cottage accommodates up to six people. The minimum rate for the cottage for one to two guests is $185 and up per night. The rate for each extra person is $20. You'll have all the comforts of home and a complete kitchen. Children are welcome at the cottage. If you stay only one night a $30 surcharge may or may not apply. North bedroom with queen size bed, 1 chair, 2 nightstands, 2 lamps, table, TV. South bedroom with queen size bed, 2 chairs, 2 nightstands, 2 lamps, table, TV. South bath with 2 mirrors, vanity, granite countertop, large shower, comfort height toilet with elongated bowl and grab bar near toilet. North bath with mirrored cabinet, vanity, solid surface countertop with integrated sink, tub with shower, comfort height toilet with elongated bowl and grab bar near toilet. The eleven photos above are of the cottage. The cottage has two bedrooms each with a queen bed, 2 baths, living room with queen sleeper sofa, a queen futon in the entry alcove, kitchen, washer, dryer, cable TV, fiber optic wireless internet. South bath has shower. The north bath has tub shower combination. 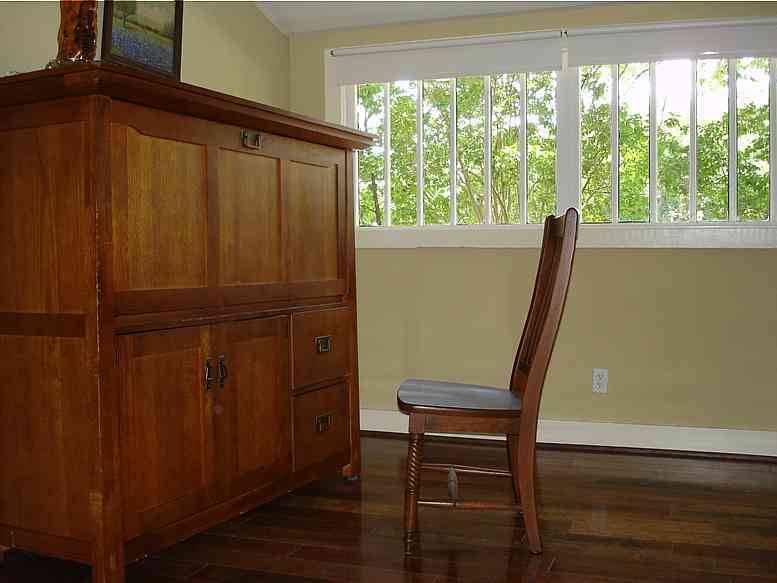 (Crib and high chair can be provided at the cottage.) $185 per night and up for 1 or 2 people, $20 per additional person per night. Additional $30 fee may or may not apply to 1-night stay. Tax additional.